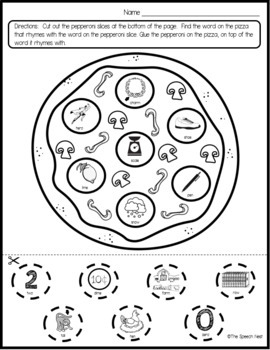 Your little chefs will enjoy this cut and paste activity to help improve their rhyming skills. No prep required. Just print and give to your students. 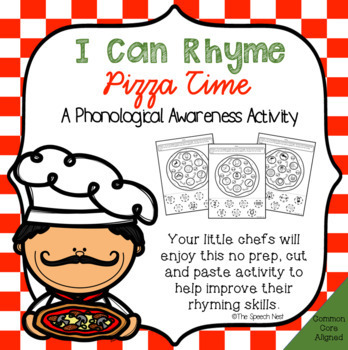 This activity is hands on and will motivate students as they learn this important skill. 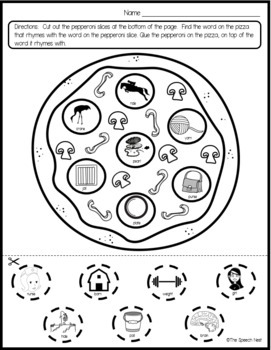 The worksheets are in black and white. 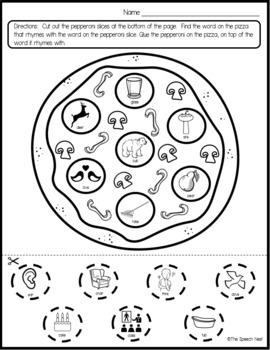 You will receive a total of 15 pizza rhyming worksheets. An answer key is included for your convenience. This product is a PDF file with 34 printable pages.